Daniel Smith ROSE OF ULTRAMARINE 5ML Extra Fine Watercolor 284610101 at Simon Says STAMP! Success, Daniel Smith ROSE OF ULTRAMARINE 5ML Extra Fine Watercolor 284610101 has been shared! Highly pigmented and finely ground watercolors made by hand in the USA. Extra fine watercolors produce clean washes, even layers, and also possess superior lightfastness properties. This exciting blend mixes Quinacridone Rose and Ultramarine Blue. The blue settles as the rose floats, creating a vibrant, dimensional purple. 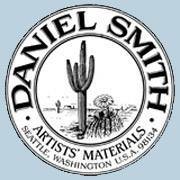 For over 30 years, DANIEL SMITH paints have been formulated, produced and packaged in Seattle. When you use a DANIEL SMITH product, you support a community whose passion for color and quality has fueled some of the most inventive developments in the art materials industry. Every tube of DANIEL SMITH paint starts with the artist in mind! Today, Daniel Smith Artists' Materials is a leading designer and manufacturer of beautiful Artist Quality Watercolors and Oils.